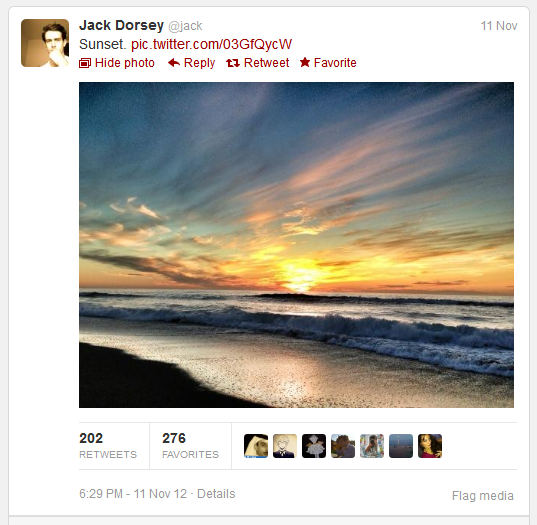 The web is whispering that Twitter is about to launch its own photo filters before the end of the year. If sources are correct, that means in just 3 weeks from today. The best part is that is appear that the social network's founder, Jack Dorsey, and his employees are testing the new features. The app would allow users to publish pictures with a better quality, compared to current offerings, and this is largely thanks to some particular effects and filters. In this way it appears that Twitter is entering into the space of the photos' social network, Instagram, that recently surpassed Twitter's number of users. In August, Instagram had 7.3 million unique users daily and this was considerably higher than the 6.87 million people using Twitter. We could suppose the aim of the launch is to recuperate users lost in previous months. In fact, according to The Next Web, the new app might offer squared pictures in 1024×1024-pixel resolution, a significantly higher resolution than the Instagram's 612x612 pixels. Moreover the app will be available for iOS and Android. That will allow the company to make the new feature available to everyone who wants it. Twitter is definitely ready to became the social network for artists and photographer and not only for writers, journalists and those passionately expressing their views in just 140 characters.